Everyone knows that if you rear-end the car in front of you or start a fist fight in a bar, you are liable for the damage your actions cause. Liability in these cases is pretty clear cut because your direct action was the cause of another’s injury. But there are many circumstances where fault is not necessarily the determining factor in liability and where there is no direct link between your actions and the resulting injury. In order to adequately protect yourself from damage and injury claims you need to have insurance policies that offer the coverage you need. The key to being protected is to understand both the obvious risks you face and those that are not so obvious. To help you identify where you may have some hidden risks, here are some common questions about who is liable for indirect injury. 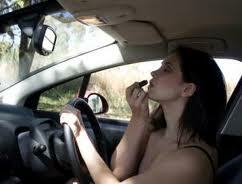 Am I Liable…..If My Child Causes a Car Accident in My Car? While there are state specific laws that govern liability and insurance, in this case the answer is most likely yes. If your son or daughter is driving a car that lists you as the registered owner, it is very likely that you could be sued for damages if your child causes an accident. In order to protect yourself, you need to have a solid insurance policy that lists your child as a driver on any car they may drive. You may also need an umbrella policy which can protect your assets in the event you are sued. Check with your insurance agent if you are concerned that allowing your child to drive your car opens you to a liability risk you are not protected against. Am I Liable……If My Dog Bites Someone on My Property? This is another case where state law dictates certain rules about liability, but it is a good bet that if your dog bites someone, regardless of where you are at the time, you may be found liable for any injury. Here in Arizona, unlike other states, there is no “one-free-bite” law which means that pet owners can be held liable for a dog bite even if there was no reasonable expectation that the dog might bite someone. This means the first bite could land you with a lawsuit. The law doesn’t only apply to humans either; it also applies to if your dog bites another animal. 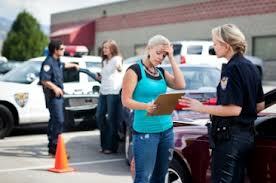 If you are unclear about your rights as a property owner, ask your local police department. If you are concerned about potential liability from a dog bite, talk through your concerns with your insurance agent to ensure you have the coverage you need to protect yourself and your assets as some policies include exclusions regarding animals. Am I Liable…..If My Tree Falls on My Neighbor’s Car? Like the other scenarios, this one is not as cut and dry as it may seem. In most cases like this, in order to prove negligence on your part, which is what would be required in order for you to be liable for the damage, your neighbor would have to prove you had a reasonable expectation that the tree might fall and damage his property. If there is no reason that you would believe that the tree posed a real danger to your neighbor, it is unlikely you will be found liable for the damage. It is still a good idea to talk to your insurance agent to determine if you would be protected from this type of liability claim. 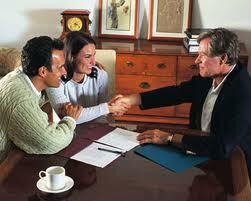 They can also offer advice on steps you can take to decrease your liability risk. Insurance: Legalized Gambling- Where are you placing your bets? Insurance is simply a transfer of risk from you to an insurance carrier, but what is commonly known as an insurance policy is really you placing a bet. I am truly a dealer of insurance who shops your insurance needs through several carriers based on your risk tolerance and what you stand to lose. The only difference is as an agent I am on your side and not the house’s side. I help my clients by educating them on what certain types of coverage can do for them and they make the final decision as to what they think might happen and what they are betting won’t happen.